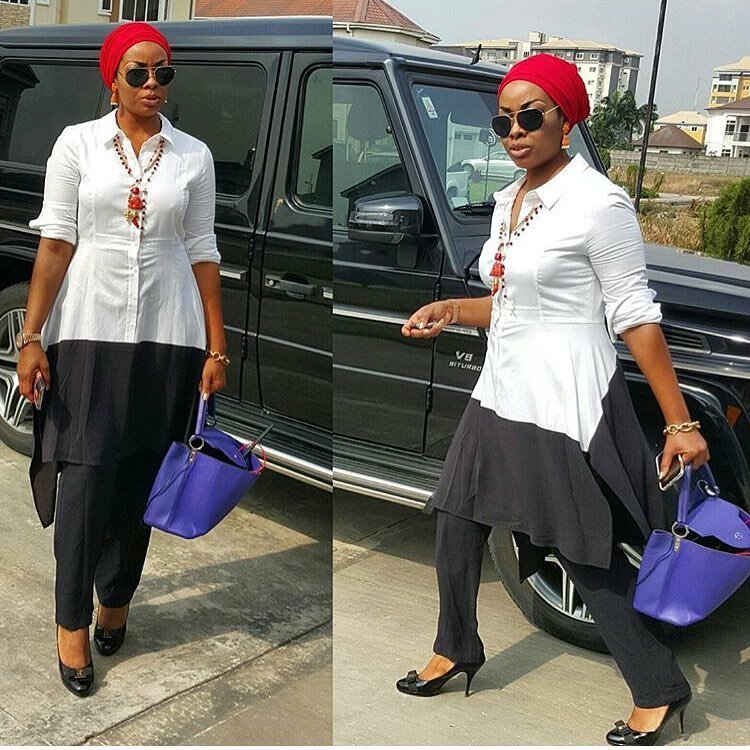 Yay or Nay To Bunmi Olatunji's Outfit? Fashion icon, Bunmi Olatunji rocked this look today and shared the photo on her IG page earlier today. What do you guys think about this outfit? To me there's something wrong with this look that i can't even place my hands on. It looks tacky, i would have preferred a tighter pants for that top.